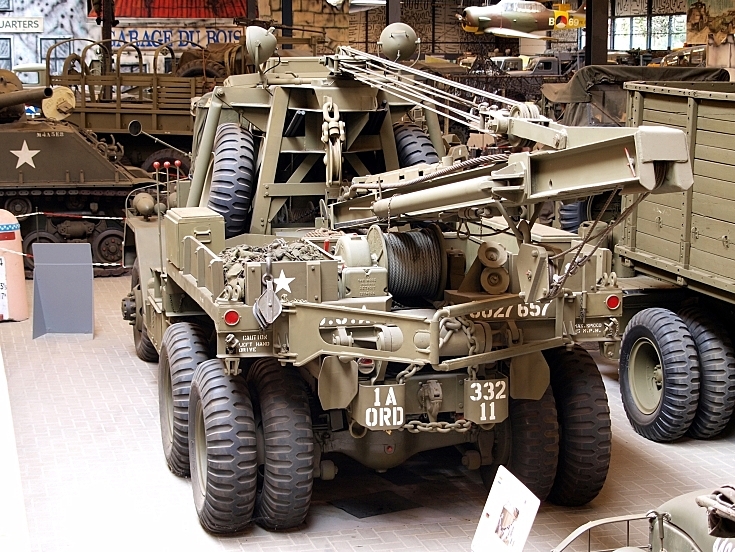 Rear view of a (U.S Army Ordnance Corps Supply Catalog number G-116) Ward la France 1000 series 5, M1A1 Heavy Wrecker, USA 0027657, 332-11 at the Marshall museum, Overloon, The Netherlands. M1A1 1000 Series 5 (G116) Trk Hvy, Wrecker 5T 6x6 USAEF WWII. Added by Timespanr on 29 February 2012.